Flirt.com VS OurTime | Which Online Dating Site is The Best? Flirt.com VS OurTime: Which Online Dating Site is The Best? Compare professional reviews of the two sites. 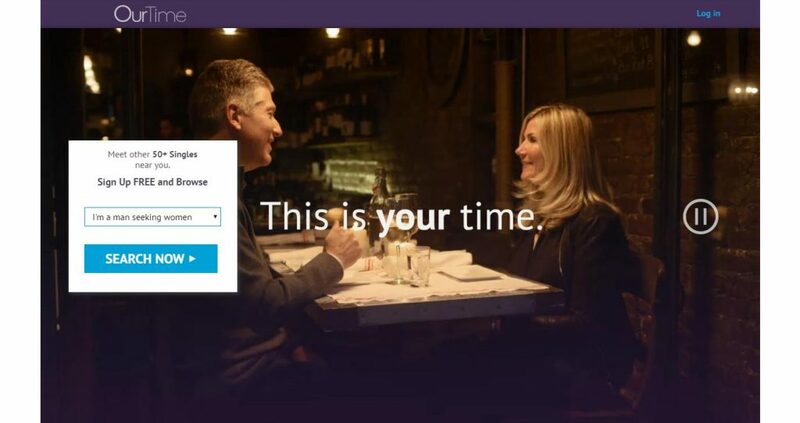 In order to help you to find which online dating sites may represent the better choice for you, we have compared Flirt.com with OurTime, based on 7 major characteristics of the dating service: Popularity, Match Probability, Features, Ease of Use, Safety, Plans & Pricing, and Help & Support. OurTime is a dating site which is growing fast and is aimed at singles exclusively, who are fifty-years and above, who are searching for many different types of relationships, which include a travel companion, pen-pals, or marriage. Online dating is not only for young people. OurTime.com shows clearly that dating does and should carry on, even after reaching the delightful age of fifty. OurTime.com has an easy registration process, together with a collection of search features for members, which is very impressive. With a modest design, the site is also easy to navigate. Members will be able to use all of the features provided, even if they aren't huge computer fans. Users will also enjoy the adventurous aspect of the features, like the video and audio greetings. Preferences change for all of us as we mature, and when we get to the 50s and 60s age group, the search is for those who live nearby and have similar interests. You will be able to access the advanced search using the form, and be able to choose different locations and other options. OurTime.com was launched during 2011, once the company had done extensive research into the preferences of this mature age group, who sought online companionship. From 2011, the website has grown significantly to become among the leading online dating sites which provides a service to mature citizens. 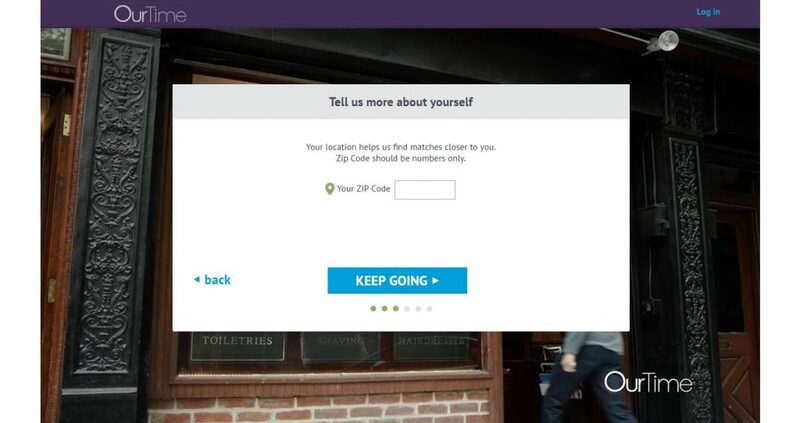 OurTime.com shares its user data with seniorsmeet and seniorpeoplemeet, making the database of membership huge. With over 1.4 million visits every month, you cannot go wrong. Keep reading our honest OurTime review to learn more. The OurTime registration process is very easy and only takes about five minutes to provide basic information about yourself, and to answer some questions. The process is truly user-friendly for mature users. All you need to do is use a valid e-mail address. Then you can upload about thirty photos. Completion of your profile can take place at any time, which includes some questions about your background and standard information like your location, physical location, number of children, and other general details. Providing all this information will help make it easier for the site to effectively find a match for you. Creation of an account on OurTime.com is free. You will be able to browse profiles and use the basic search feature. If you need to access more features, then you will have to become a paying member, at an affordable rate for the majority of singles in their mature years. Mature users will find that online dating is both easy and effective. Life can definitely begin at fifty, thanks to the services provided by OurTime! This platform is easy to use, and has a clean look and feel, together with all the features users need to find the special person they are searching for. The popularity of this large dating site attracts more mature singles to register, every day. Navigation on the site is user-friendly, and quickly allows members to find that special match. Members may speak via the live chat feature, or use text and flirts, and audio or video messages, to connect. Users will find many other like-minded singles on this site.